These photos are taken of cars that we have built or have modified. 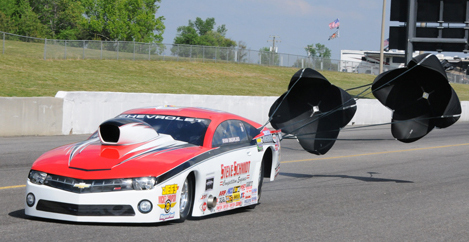 This includes Chassis tuning at the racetrack which has become one of our primary services while we are touring the NHRA Divisional Circuit with our team Car driven by Ryan Ondrejko. 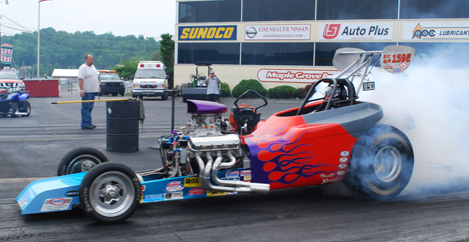 For over 25 years John's Racecraft has been providing the New England area with fine race cars and specialty vehicles. Quality craftsmanship and attention to detail top the list of our priorities. Each project is individually designed to your special requirements. Our services range from providing you a complete car to a minor update. Whether it's a Racecar (Doorslammer, Dragster or Altered), Pro Street or Hotrod we can build it for you. 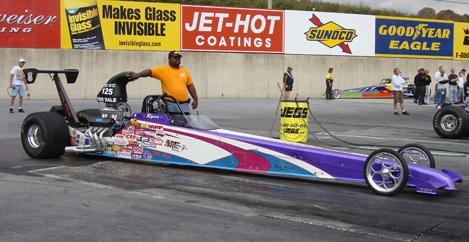 Our racing customers have won many local races, track championships and NHRA & IHRA national events utilizing a John's Racecraft chassis, while at the same time garnering best-engineered awards. Our hobbyist customers have won numerous show car awards and been featured in various magazines with their Pro Streeters and Hot Rods. Lee Roby of Randolph, MA is a tool & die maker for the Fraen Corporation. His unique 27 Ford Alterd was built at Johns Racecraft during his employment there. 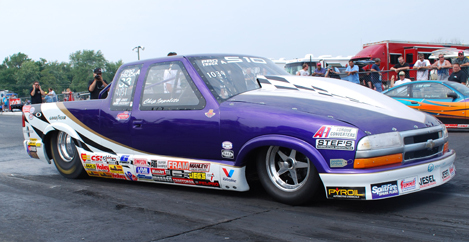 He currently competes in Super Comp on the NHRA Divisional circuit as a Johns Racecraft team entry..
As an official Mickey Thompson dealer, Johns Racecraft is excited to be a test team for their newest products. 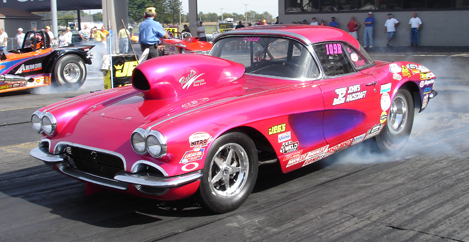 With 6 consecutive championships in Super Gas and Top Sportsman, it seems to be a great wheel and tire for Super Class or Fast Bracket racing..
Peter Neal's 1962 Corvette is being transformed from a Street/Strip car to a complete Racecar. 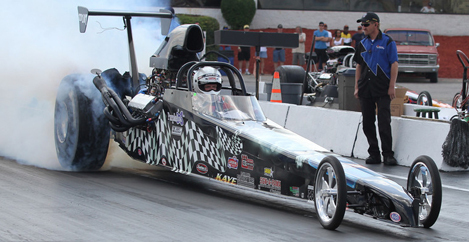 Full Back-Half and Funny Car roll cage top the list of modifications made to this beautiful ride. Everyone will soon see the New and Improved Ragin' Bull II on the strip soon!